Do You Want to Sell Your Commercial Property Fast in Brownsville, Texas? We Buy Commercial Real Estate in Any Condition for Cash in Brownsville! Request a cash offer for your commercial property from our Brownsville investors by filling out this quick form or calling our local office at (877) 717-2087. After reviewing the details about your property, our team member will contact you to schedule a visit to come see your Brownsville property. After getting a more clear picture of your property’s condition, we’ll give you an all-cash, fair offer based on your local Brownsville’s market value. How soon can you buy and sell my commercial property in Brownsville, TX? The process is around seven days. We have a reputation in Brownsville for buying properties fast. 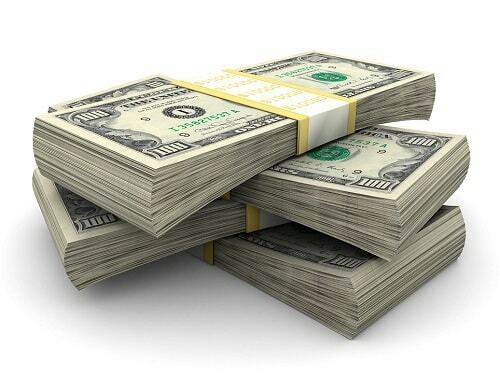 Once your commercial property is sold, Property Cashin will give you the cash in hand. Sound like a great deal? Call us today! That’s what Property Cashin is all about. There are no cheques or bank deposits. Just cash in your hand once the deal is signed. How expensive will it be for me? We offer the best rates in town. There is no charge for commission. You simply pay for the initial transaction. Can’t pay the bills lately? Are you struggling to make ends meet? Hey, we understand. These are hard times and most people are doing their best to get by. Before you get threatened with foreclosure, it might be wise to sell your commercial property. Property Cashin sells property fast – it’s how our business thrives. Not only will your property be sold within a week, you get all the money upfront. Sound too good to be true? Well, it isn’t. Call us today! You’ve put your heart and soul into your business. It’s your baby, the reason why you get up every morning. And while Brownsville is doing better than many cities in Texas, we’re still feeling the pinch of economic hardship here as well. If you cannot keep your business afloat and are losing revenue, selling your commercial property will help you out with your life. We have bought several failing businesses in the city. You don’t wait months (seven days or less) and your money is given to you right away. Being in business carries with it many risks, one of which is being a party to a lawsuit. They’re a lot of hassle and you need to spend lots of money on attorneys. Are you in such a predicament and desperately need money? Property Cashin will purchase your commercial property. If you desire to sell your property for cash, we’re the people to deal with. What once was an amicable business relationship has gone south. You’re considering getting out this dead-end partnership but don’t know where to begin. Why not sell the commercial property associated with your business? You’re busy and want to move on to the next venture in your life so we will get the process finished in seven days. Property Cashin gives you the money upfront. We’re all about convenience and efficiency. You may have commercial property that is old and has deteriorated badly. Worse still, you feel reluctant to show off this eyesore to a real estate agent or broker. Property Cashin buys all commercial properties. We don’t discriminate. It doesn’t matter how many repairs your building needs. Property Cashin will buy it and give you the money in hand so you can purchase a new location. Best deal in the city. These days, businesses either become prosperous and expand or they are forced to downsize due to declining revenues and other reasons. We understand that you may want to buy more space or cut down on the amount of space that you currently have. Regardless of your situation, Property Cashin will assist you. We understand that you’re busy and don’t have time to wait months for a sale and money (like the realtors and brokers do) so we guarantee that your commercial property will be sold within seven days. You get the money to help you pay for a larger or smaller location depending on your needs. When it comes to divorce, people are often forced to sell off assets. If this is you, consider selling your commercial property now before it’s too late. Likewise, health problems or sickness can impede you from running your business. Property Cashin will give you your cash for that commercial property you are thinking of selling. And we do fast – very fast. In no less than seven days the sale will be complete and you will be on your way. That commercial property you don’t use very much or would like to unload of could be worth a lot of money. Now is a good time to cash in on your equity and move onto the next phase of your life. Property Cashin will have the sale done in a period of time no longer than seven days. We sell properties fast. But you should sell before the value of your property depreciates, thus harming your equity. Are you in urgent need of some quick money? Property Cashin is just what you need if you want to sell commercial property fast in Brownsville TX. This does not mean that our clients from any other parts of the country as we buy properties for cash all over the United States and not just Texas. When you visit us, you will be assured of the best services where we also buy property in any condition. If you need quick cash, we are the right people because you will also get a fair evaluation of the property to ensure you get a fair deal. Unlike other companies that might take a long time to pay for your property, Property Cashin will take a very short period to ensure you have the cash you need. Choose us, and you will get fast, quality and fair service in the property market. Given our experience, connections, and knowledge of the local market, we will be able to give you the best deal in the market.